Admatec Europe BV presented its Admetalflex 3D metal printer at the recent Additive Manufacturing User Group conference in Chicago. The new 3D-printer delivers metal printed components with high-quality material properties and, compared to industry standards, low surface-roughness values, fine features and no residual stresses, according to company officials. 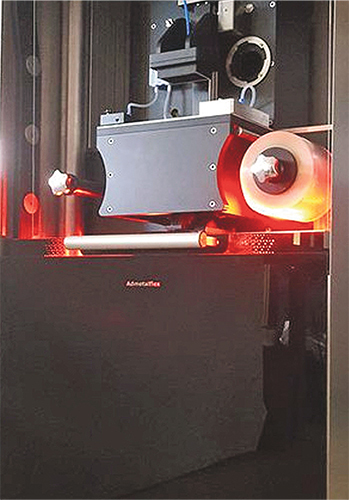 The machine uses digital light processing (DLP) technology to 3D-print metal from a resin formulation. It’s designed to produce relatively small, precise metal components typically manufactured by traditional shaping technologies such as CNC machining and metal Injection molding (MiM).